The RGA is a membership organisation. It is through the generosity of our members that we are able to continue to support and work with the dwarfism community within the UK. Full Membership is open to any adult who has restricted growth (defined as a height of under 4 foot 10 inches) as a result of a medical disorder. Two adults living together as partners or siblings, at the same address, may both join as full members for a single membership fee . Family Membership is open to any families which have a child/children (aged under 18 years) with restricted growth as a result of a medical disorder. Parents who have restricted growth are considered to be Full Members as part of their Family Membership, providing that at least one of their children has a restricted growth condition and lives at the same address. 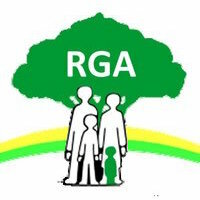 Associate Membership is open to individuals with an interest in restricted growth, who wish to aid the RGA in supporting people with dwarfism and their families in the UK. Two adults living together as partners may both join as associate members for a single membership fee. To join or renew your membership, please click on the relevant membership option below, fill in and submit the form and then purchase the membership. As well as supporting the invaluable work of the RGA, members will have access to our full range of publications and information resources. RGA members also have the option of borrowing books from the Mary Lindley Library and are invited to attend the Association’s annual Convention. In the case of Family Memberships and joint Full Memberships, please only enter details for the primary membership holder in the first section of the form and then provide the details of the other family members or joint member in the additional information section. Please note that for Family membership the ‘Primary Member’ must have a restricted growth condition.